People spend a majority of their time at their workplace, so it’s very likely that they could have a heart attack at work. When this kind of incident occurs, will you be prepared to step in and help out? The best way to help out a co-worker who’s in cardiac arrest is to know how to perform CPR and why CPR is a great asset to have at the office. Thousands of people each year have cardiac arrest in the United States and often they have these heart problems where they spend the majority of their day – in the office. What does CPR do to help? CPR helps with keeping the person’s blood circulating until an ambulance arrives. If someone in the office doesn’t know CPR, the person affected by cardiac arrest has a decreased chance of survival. One of the main reasons that many people do not perform CPR to help fellow co-workers is because they are hesitant to give mouth-to-mouth resuscitation to someone else in the office. If you don’t feel comfortable giving mouth-to-mouth resuscitation, doing hands-only CPR can be just as effective and is better than standing by and doing nothing. Knowing how to provide immediate support with CPR will not only save a life but will make you more valuable in the office environment. 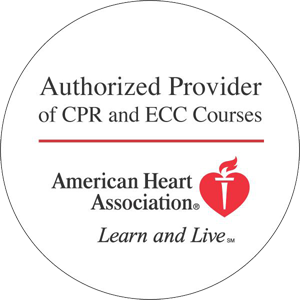 The people who take the time to learn CPR will be an asset to those who have heart attacks and knowing CPR can add a valuable skill to your resume. It’s not too time consuming or difficult to learn how to do hands-only CPR, so why wait to learn how to perform CPR? We offer FREE CPR and First Aid courses through Blue Cross Blue Shield of Minnesota? Sign up while there’s are still available spots! Are you a manager or business owner interested in providing in-office CPR training? Contact us to set up a course at your location. We also partner with Appleton and Anchorage for select classes. The post Why Office Workers Should be Trained in CPR appeared first on HeartCert CPR Training.